Make a Bucket List love bringing you tips on the best holiday locations around the world, so with that in mind let us tell you about the best Orlando activities. Orlando is located in the state of Florida in America and offers year round sunshine, beautiful state parks and of course some of the best theme parks in the world. It doesn’t matter if you have children, you’re a couple, or you’re there with your friends Orlando has something for everyone. Of course we had to start with the most magical place on the planet. With 4 theme parks (Magic Kingdom, Epcot, Hollywood Studios and Animal Kingdom), 2 water parks (Blizzard Beach and Typhoon Lagoon) and an area dedicated for shopping eating and drinking (Disney Springs), you’d be hard pressed not to satisfy everyone’s holiday requirements. We always recommend planning your time at Disney and utilising the ‘My Disney Experience’ app, so you can monitor ride times, decide which characters you want to meet and book in fast passes for rides; because they can get busy really quickly. If you’re looking to add an extra sparkle to your time in the parks, then check out Memory Maker, which is the Disney photo pass service. You simply pay a one off price which is currently $169 and as you walk around the parks, you can have your picture taken and loaded to a Disney account. This is the perfect way of getting all your family and friends in one picture and if you use it often, you can end up with hundreds of professional pictures as memories of your incredible holiday. They even throw in a few treats such as Stitch (Lilo and Stitch) eating an ice cream, or Jessie and Woody (Toy Story) dancing. What combines the glitz of Hollywood, magic of Harry Potter and adventure of Jurassic Park? You guessed it, Universal Studios. Universal consists of city walk which is an area dedicated to restaurants and shops, plus 2 theme parks; Universal Studios and Universal Islands of Adventure. Both parks offer incredible thrill rides such as the Mummy and Rip Ride Rocket, exciting water rides and something for the little ones; namely the Woody Woodpeckers KidZone. You’ll find yourself walking through Springfield and eating a Krusty Burger or drinking a Duff beer, before heading off to Diagon Alley, where you can watch fire breathing dragons and meet the night bus conductor. There’s so much to do here we’d find it difficult to write it all down, each day is different and you don’t know what character you’ll end up meeting as you walk around. Keep an eye out for the special events as these could mean that you’re not eligible for entry if you have a basic ticket. We would recommend checking out these events which include Halloween Horror Nights and the Mardi Gras. They bring their own exciting attractions and on Mardi Gras nights they have special performers such as Diana Ross and Jessie J. Sadly not everyone has heard about this amazing park, but Gatorland has been an Orlando staple since 1949. The 110-acre theme park and wildlife preserve gives you the opportunity to see thousands of alligators and crocodiles. Don’t worry they’re all safely located in a secure breeding marsh, but you have the opportunity to see Gator Wrestling (yep that’s someone wrestling a gator), Gator Jumparoo (and yep that’s gators leaping for meat), plus up close encounters (you know where we’re going with this). Gatorland also offer personal experiences such as zip lining across the breeding marshes, feeding gators, wrestling a gator and our personal favourite feeding turtles. The park homes a number of other animals, with the chance to walk around their breeding marsh and a beautiful swamp walk. It’s the perfect day out for those who are a little fed up with theme park rides and bustling crowds. If you’re truly sick of pounding the theme parks and fancy a walk through a natural oasis, then we’d definitely recommend Harry P Leu Gardens. This botanical gardens can be found in downtown Orlando and is a whopping 50 acres of beautiful flowers, with the odd natural resident thrown in; don’t be surprised if you spot a snake or lizard. 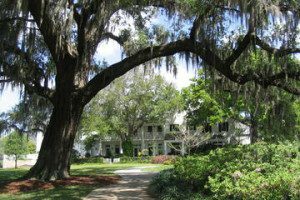 In the gardens is the home of Mr. Harry P Leu and his wife, with a tour of this amazing building included in your entry price. You’ll discover some interesting facts, learn about the area and giggle at some naughty family secrets. There are special events such as movie nights and events for the kids, so check out their calendar before you visit. 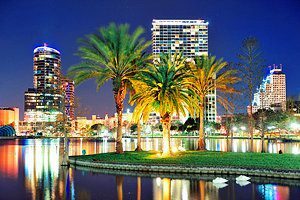 Check out Lake Eola in downtown Orlando – this beautiful park in the middle of downtown is perfect for an easy going day. Head over on a Sunday to see the weekly farmers market, where empty stomachs are needed; there’s amazing food and drink everywhere! Visit the Disney hotels – Even if you’re staying outside Disney, you can still visit each of their themed hotels. Whether it’s the beautiful beach at the Polynesian, watching a movie under the stars, roasting marshmallows on a campfire or trying out speciality cocktails, you’ll fall in love with each one for very different reasons. Simply tell the employee on the security gates that you’re visiting the hotel and they will let you through. International Drive – Most people think this long road is just full of hotels and restaurants, but there’s so much more to international drive. 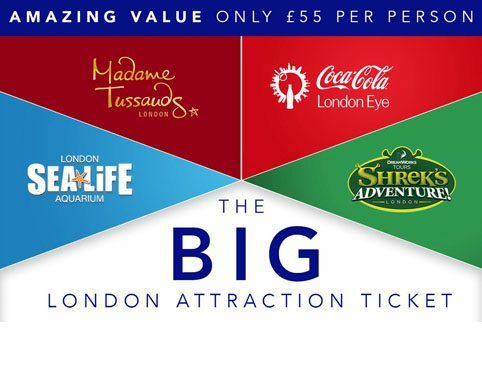 With the introduction of the Orlando Eye, Sea Life Centre and Madame Tussauds, there’s plenty to keep you entertained. Add in Titanic: The Artifact Exhibition where you can discover more about that fateful night and the shops and cinema at Pointe Orlando. Of course there is a raft of amazing restaurants and bars to suite everyone, we’re big fans of Millers and Bahama Breeze. 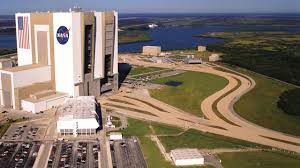 Kennedy Space Centre – It’s not exactly in Orlando but we’d be crazy not to mention this incredible place. Whether you’re interested in space or not, you’ll find this interactive park fascinating. Not only do they have shuttles for you to see, but you can experience the sights, sounds and feelings of a Space Shuttle launch. As with Disney we would recommend you plan your visit to make the most out of your day. There are certain attractions such as meeting an astronaut which are set at specific times and as such could easily be missed. Celebration – Head down to the little town of Celebration which was created by Walt Disney as his vision of the perfect community. The art deco style buildings and quaint little shops make this the perfect pit stop in what can be a tiring holiday. We hope we’ve given you a few ideas of some of the best things to do in Orlando. There is so much more to this incredible holiday destination, with each visit bringing a whole set of new experiences. If you’re interested in tickets for the parks then we recommend Floridatix and Attractiontix, as they have some of the lowest prices and best offers around. Prices and details within this article are subject to change and we recommend you check out the individual sites for up to date information.